Not at all - without reaching the critical peeling depth Peel Professional remains free from discomfort and pain, the action of the crystals and the hand piece is extremely gentle on the skin. The intensity of the treatment is completely controlled by the specially trained therapist. The number of treatments required is dependent on the skin condition. The dead skin cells are removed to restore the ideal balance between healthy and well functioning cells needed. The skin cells receive an energy boost, improves the natural bonding of the of the collagen fibres within the connecting tissues providing a smoother tighter skin and increasing the ability to capture more moisture. The skin is regenerated and looks fresh and radiant. 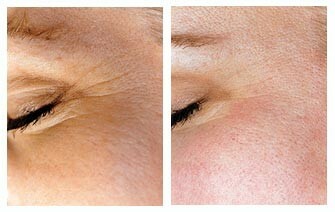 For regenerating all skin types - 1-3 sessions are needed. For most common specific skin conditions you will require between 6-15 sessions. Depending on some skin condition a maintenance session is required every 6-10 weeks. 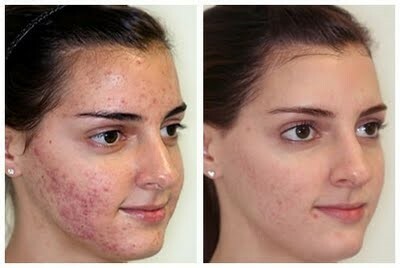 You will start to see results after the first treatment as the appearance of the skin improves. Aluminium oxide crystals used are completely inert and cannot cause a reaction. All clients have their own stored and labelled treatment heads for their treatment use therefore there is no risk of cross contamination whatsoever. Is it risk-free of scars and pigmentation? Far from causing scars Diamond Dermabrasion is used to treat them. I would like to book a treatment or free consultation? You are more than welcome to telephone and book a free private consultation where we can discuss your specific requirements; explain your treatment procedure in more detail and show you our 'before and after' photographs of what the Professional Peel Diamond Dermabrasion can do for you. All treatments are provided in a private environment on a one-to-one basis.